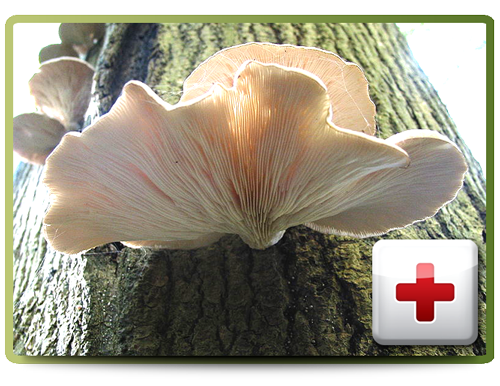 The Oyster mushroom contains statins such as lovastatin which work to reduce cholesterol. The cap grows in a fan shape and can grow to 25 centimeters across. 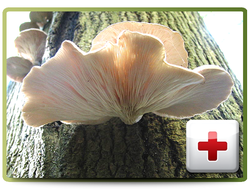 The Oyster mushroom is white to gray and sometime tan or dark-brown. Due to the stipe arrangement, which is sometimes absent, the white flesh of the Oyster mushroom varies in thickness. The gills are white or cream in colour and descend on the stalk it is growing on. The spore print is white to lilac-gray.